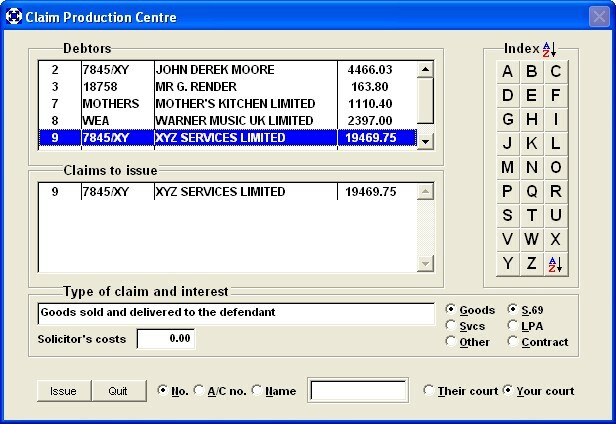 The legal screen lists all debtors and users in their respective scroll boxes. 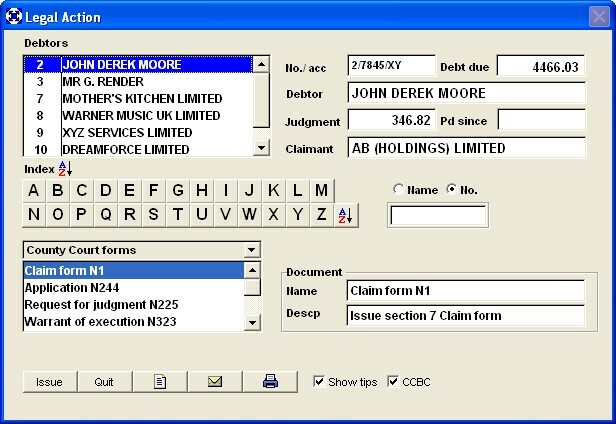 The first debtor is selected and details are displayed in the area to the right. Working through the debtor list will change the debtor details. 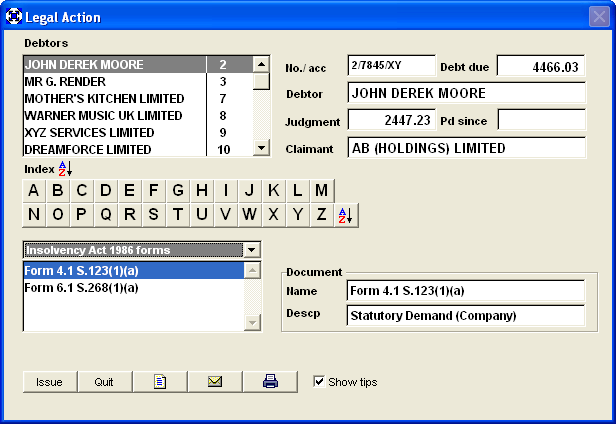 You may narrow down the choice of debtors by restricting the display to within alphabetic letter. Forms/action are selected from the DOCUMENT list box and this defaults to COUNTY COURT. Click the dropdown list to change from County Court to Insolvency Act. Select type of Statutory Demand required.